Languidos Top MILO-Butuan | JustRunLah! BUTUAN CITY – Multi-titled runner Juneil Languido won his duel with Richeel Languido to take home the 40th MILO Marathon Butuan qualifier last Sunday (October 30) at the Father Saturnino Urios University grounds. The Languidos will now be joined by 34 other runners who successfully met the time standards for the National Finals set for December 4 in Iloilo City. 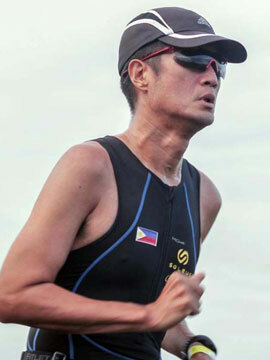 Juneil, last year’s runner-up to MILO King Rafael Poliquit in the Nationals held in Angeles City, finished the 21-kilometer course in a time of 1:13:06 compared to Richeel who clocked 1:14:09. Third Place went to another veteran runner in Elias Tabac who timed 1:18:59. The Women’s Division went to Esterlita Organiza in a time of 1:47:35. Joining her at the podium were Janette Mendoza (1:54:43) and Gina Factura (1:57:13) with all three ending up the only female qualifiers who hope to challenge reigning MILO Queen and 2016 Olympian Mary Joy Tabal for her title. Runners will now have their final chance to qualify for the Nationals when Davao City hosts the final regional qualifier this Sunday (November 6) at the SM Lanang Premier grounds. Davao marks the 13th leg staged since last July to search for the best runners for the Philippines’ oldest and most prestigious marathon. Other Winners: Jesswar Lopez and Melody Perez (10 kilometers), Raymundo Lopez and Fretzie Bisande (five kilometers) and Joshua Reyes and Jema Ferol (three kilometers).